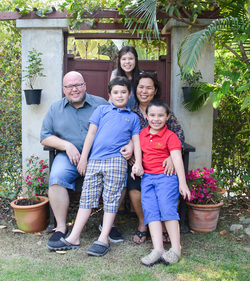 Dustin Campbell and Haydee Campbell have been serving with Youth With A Mission in the Philippines, Thailand, Indochina region, and the United States for 23 years. Married in 2001 their family has grown to include three active children (Michaella, Lemuel, and Justin). Both as singles and as a couple they have been focused on training, staffing, and leading Discipleship Training Schools (DTS) since being on the mission field. They have also served on base leadership teams and national leadership training teams. They have a heart to see trained staff and leaders be fully equipped to face all the challenges in the mission field. They believe that well-equipped staff and leaders will produce excellent schools which will in turn raise up the much needed missionaries for today's world. Currently the Campbell family are serving with YWAM Richmond in Virginia. Dustin also serves in the International DTS Centre.